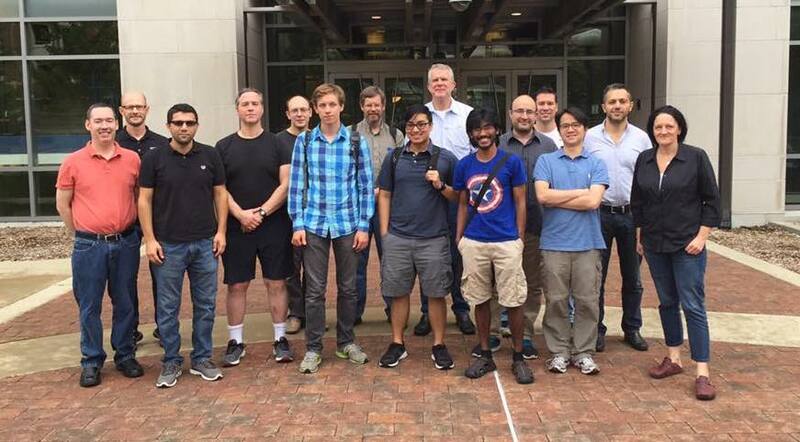 The NCSA Gravity Group is an interdisciplinary research team at the National Center for Supercomputing Applications (NCSA) at the University of Illinois Urbana-Champaign. 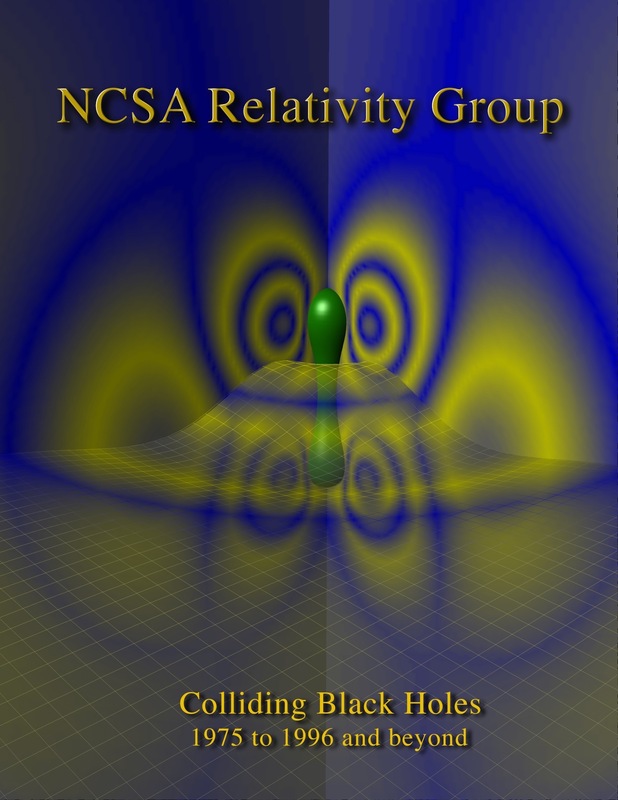 The NCSA Gravity Group has a broad research portfolio across multiple areas of contemporary gravitational wave astrophysics, astrodynamics and multi-messenger astrophysics. Our research includes the use, development and support of the open source community Einstein Toolkit, the exploitation of the Blue Waters supercomputer and XSEDE for large scale gravitational wave data analysis and numerical relativity, development of machine and deep learning algorithms for the detection, and the characterization and scientific exploitation of gravitational wave signals and their electromagnetic and astro-particle counterparts. Our group are members of the LIGO Scientific Collaboration, the North American NanoHertz Observatory for Gravitational Waves (NanoGrav) project, the Einstein Toolkit Consortium, as well as Blue Waters and XSEDE. Our work has strong synergies with the Dark Energy Survey and Large Synoptic Survey Telescope Groups and the Innovative Systems Lab at NCSA. Our group is made up of professors, research staff, post-docs, graduate students, and undergrads from NCSA and the departments of Astronomy, Computer Science, Electrical and Computer Engineering, Coordinated Systems Lab and Physics, as well as collaborators from around the world. The subject has a long history at NCSA, which hosted a Relativity Group from 1986 to the late 1990s. The center itself was founded in 1985 by Larry Smarr, who pioneered early work on colliding black holes that helped lay a foundation for the entire field. In the 1990s, the NCSA numerical relativity group, led by recent NCSA Director Ed Seidel, became a strong force for its continued development, also developing early content on general relativity when the mosaic web browser we developed here. After 1996 a strong collaboration was formed with the group at the Albert Einstein Institute. The group is currently supported by the NCSA, NSF and NVIDIA. NCSA Gravity Group is at Los amores de frida. NCSA Gravity Group is at Tecnológico de Monterrey. NCSA Gravity Group is at TEC Campus Guadalajara. NCSA Gravity Group is at National Center for Supercomputing Applications - NCSA. Move mouse for sound. Pitch corresponds to planet size; timbre to temperature (may take awhile to load). planet radius: distance: temperature: habitable? Our friend Prof Miguel Alcubierre from UNAM will be talking about the physics of Interstellar at the EbertFest in Champaign this week. The talk will be after the Noon showing of Interstellar this Thursday 19th April.